A bumper harvest has led to a crash in turmeric prices in India, the world's biggest producer and exporter of the bright yellow spice, causing furious farmers to stage protests in key growing regions demanding government help, growers and traders said. Turmeric, which holds antioxidant and anti-inflammatory properties, has been gaining in popularity among health-conscious consumers around the world in recent years. But it is still predominantly used in a variety of tangy Indian curries, aromatic biryani and other food products. 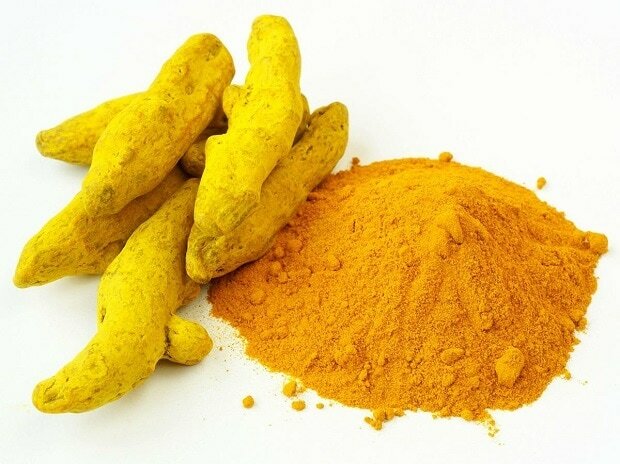 Indians also consider turmeric auspicious and it is smeared onto the faces of both the bride and groom ahead of weddings in a ceremony meant to bring good health. This year's bumper crop is the result of a boom in last year's planting after prices soared in 2018 due to lower output and depleted stocks. Now, prices have slumped nearly 24 percent since the beginning of 2019 thanks to mounting stocks at wholesale markets. "Turmeric prices have dived and desperate farmers have hit the streets to highlight their plight," said Punam Chand Gupta, a trader from Nizamabad, a key market in Telangana. "Prices have been falling since January and farmers are forced to sell at really low prices." Turmeric takes nine months to mature so crops planted in June mainly show up for both domestic consumption and exports in January. Turmeric prices hovered around Rs 85,000 ($1,200) a tonne in December and started sliding in January, when the new season crop started trickling in, farmers and traders said. "Prices continued to slide through January and February, and have dived now to 65,000 rupees a tonne," said another farmer in Nizamabad who only goes by one name, Abijith. "The government should come to our help by either ensuring that turmeric prices go up a little or buy some of our produce at a government-set price," he said. Officials at the state-run Spices Board of India were not available for comment. Millions of Indian farmers are reeling from low farm gate prices and accuse Prime Minister Narendra Modi's government of overlooking their plight. India produces an average 6.5 million bags of 70 kg each of turmeric each year and exports about 1 million bags to countries such as Japan, Malaysia, Bangladesh, the United Arab Emirates and the United States. India accounts for about 80 percent of global turmeric exports but its overseas sales pale in comparison with its annual consumption of around 6 million bags. This year's turmeric production has touched 7 million bags, up from 6 million bags in 2018, farmers and traders said. The rising production has pushed carryover stockpiles to 4 million bags through this year, they said. The crash in prices could prompt farmers to switch to other crops. Turmeric competes for acreage with crops such as soybean, pulses and tobacco that take less time to grow.